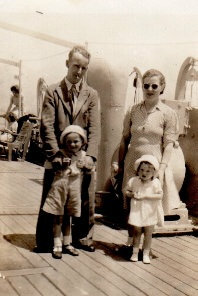 The Daly family at Picnic Point, NSW, with friends they met on the SS Asturias. Read their story here. 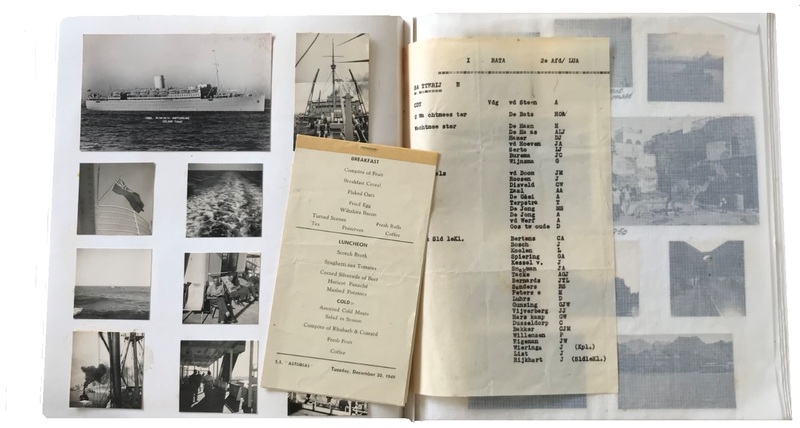 Many passengers kept diaries of their voyage to Australia on the Asturias, and others have written detailed and fascinating accounts of their arrival and settlement. This site has been created to provide a central place to gather information about the SS Asturias II and may be of particular interest to those passengers who came to Australia aboard her in the 1940s and 1950s when the ship saw service as a ‘migrant ship’..
All genuine material for publication on the site that may be of interest to others is welcome including photographs, memorabilia and stories. Please submit your articles for publication by email and indicate whether you wish to be acknowledged as the source of the material. Also include your contact details in case verification is required. Your feedback is always appreciated, and all genuine emails receive a response. 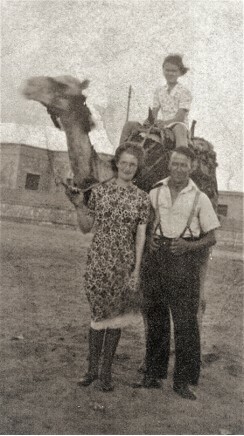 Eddie and Violet Lawrence were married in Leeds UK and came to Australia in May 1948. Eddie's niece Valerie would love to know what happened to them. 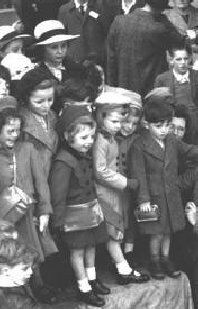 After World War II the British Government devised a plan to unburden 'overflowing' childrens' homes. 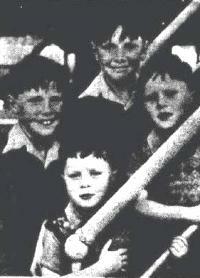 Children were shipped to Australia 'to be adopted by loving families' only to find that they were used as cheap labour. Alan Pearson has been located - but Shaun Andrews who had the case is uncontactable. If you know Shaun, please get in touch. 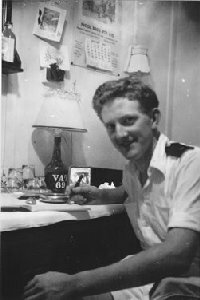 Peter George Russell was employed as a writer on the SS Asturias between approximately 1950 and 1953. Ships' writers were responsible for official correspondence and other clerical duties. 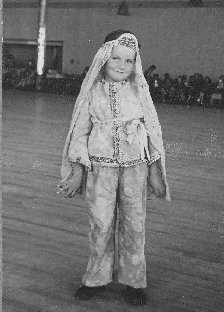 Our photo gallery has hundreds of images which have been kindly supplied by passengers and their families. Contributions are always welcome. 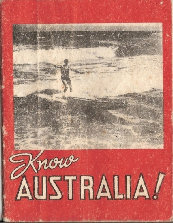 In 1948 Australia signed an assisted passenger agreement with Malta. 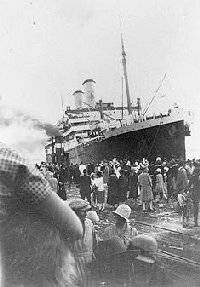 Thousands of Maltese migrants came to Australia in the 1940s and early 1950s on the SS Asturias. 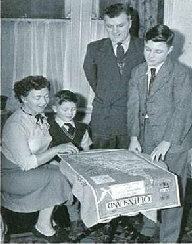 Mr Les Malton of Melbourne has kindly shared his fascinating store of memorabilia, from his journey to Australia on the SS Asturias in 1947. 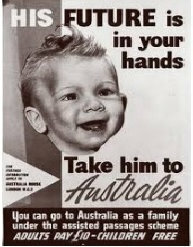 Newspapers - particularly the Sydney Morning Herald, The Age, The Canberra Times and The Argus often sent photographers and journalists to the docks to welcome and photograph new arrivals to Australia. 3,800 'Displaced Persons' were among the thousands of migrants who came to Australia. 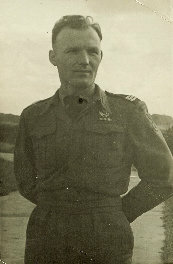 Some Polish soldiers who fought alongside Australians at the Siege of Tobruk travelled on the Asturias. 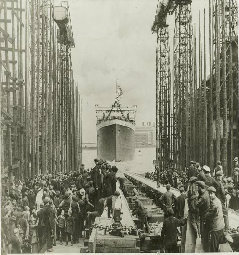 Built by Harland and Wolff, Belfast, the Asturias was launched on 7th July 1925 by the Duchess of Abercorn. Follow the ship's journey through the years until she was broken up in Faslane, Scotland, in 1957. "This little suitcase belonged to passenger Alan Robert Pearson ('fireman' aged 22) who travelled on the Asturias to Melbourne in September 1951. A visitor to this website has it in his possession and would love to return it to Alan or his family". 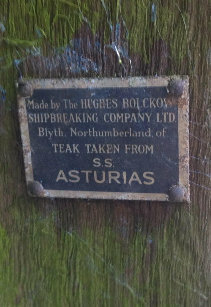 After the ship was broken up, some of the teak from Asturias was made into garden furniture by ship-breakers Hughes and Bolckow, a lot of which still exists in the UK. 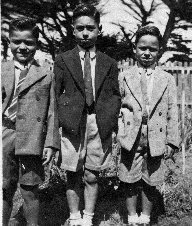 Hedy De Bat's father served in Indonesia as an army officer. He returned home on the Asturias in 1949 to the Netherlands where he still lives. Hedy has forwarded photos and other memorabilia. 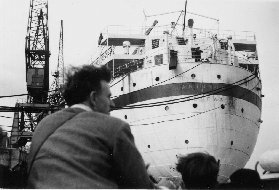 On Friday 11 October 1946, May Flinter, her mother Rachel and her brother Basil arrived at Southampton. They shared a taxi to the docks with 'a lovely girl of 21 called Olive Clark' who became May's friend on board. It was the first journey for the Asturias after repairs and refurbishment and its first immigrant service. May wrote a long, wonderful letter to a friend back in England about her journey, which has kindly been forwarded by her niece, Debra Barnard.